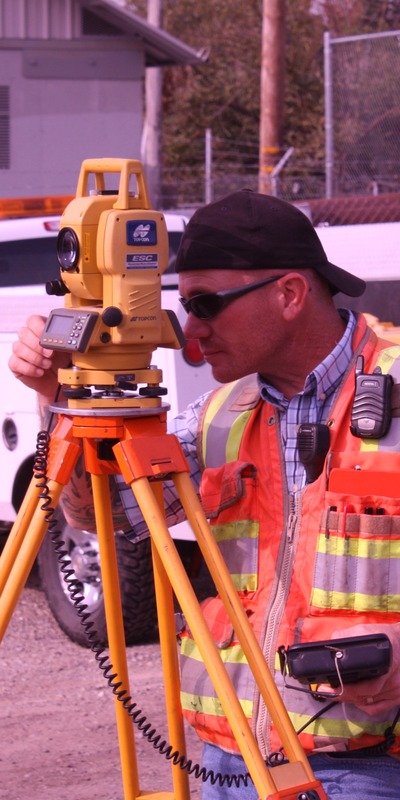 KSN is a small civil engineering and land surveying company located in Stockton California. I started at KSN as the rodman on a 2 man survey field crew. I then moved into the office as an assistant surveyor. I obtained my LSIT and began working as a Project Manager. I then obtained my professional land surveying licenses in California and Nevada and became the Assistant Survey Department Manager. 1] Operated the company's first robotic total station. 4] Designed and implemented the company's first levee/reclamation district GIS. 5] Provided expert witness services in disputes related to water rights in the Sacramento/San Joaquin Delta. 6] Provided construction staking services on the company's first major transportation construction project. 7] Maintained a regional control network across the Sacramento/San Joaquin Delta. 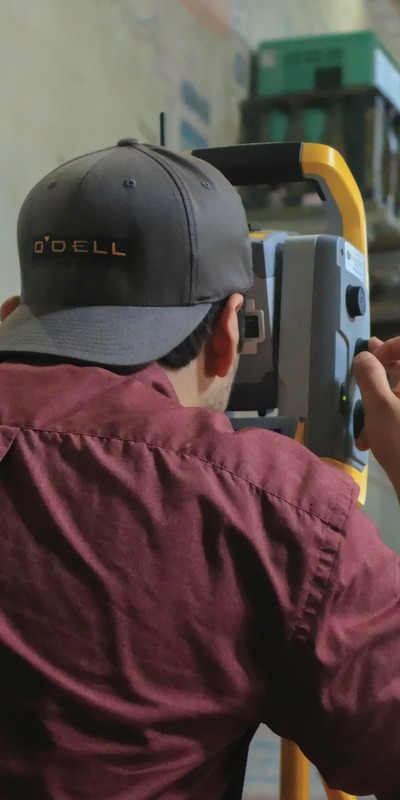 O'Dell Engineering is a civil engineering, land surveying, and landscape architecture company located headquartered in Modesto, California. The company also has offices in Pleasanton and Fresno. I worked as the Mapping Department Manager at O'Dell Engineering. In this role I supervised all surveying services not directly related to construction layout. My work as Mapping Department Manager included supervising an office staff of 8 to 12 people across 3 offices and managing 5 survey field crews. 1] Work on a street address GIS for a major master planned community. 2] Work on the company's first sanitary sewer GIS project. 3] Integration of the company's first GIS analyst into the survey team. 4] Integration of the company's first land planner into the survey team. 5] Implementation of the company's terrestrial laser scanning program. 6] Introduction of fast static GNSS surveying methods at the company. Hawkins and Associates is a small civil engineering and land surveying company located in Modesto, California. I worked as the Mapping Department Manager at Hawkins and Associates. In this role I supervised all surveying services not directly related to construction layout. My work as Mapping Department Manager included supervising an office staff of 4 people and managing 3 survey field crews. I also took the lead role in business development for the land surveying services at the company. 1] Introduced fast static GNSS surveying methods at the company. 2] Implemented the company's terrestrial laser scanning program. 3] Introduced raw field data review using TBC to the company. 4] Introduced automated point layering and linework on topographic surveys to the company. 5] Implemented the company's modern business development program. 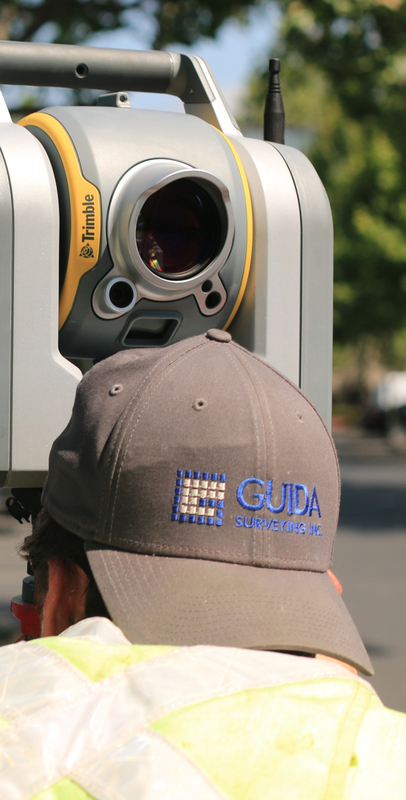 Guida Surveying is a full-service land surveying company with offices across California. At Guida Surveying I worked as the Central Valley Area Manager. In this role I supervised surveying services provided in the California Central Valley from Sacramento to Madera. I also supervised surveying projects in the California Sierra Nevada Foothills, Sierra Nevada Mountains, and the Nevada Carson Valley. I led the UAV and GIS programs at Guida with the help of a great team of talented young professionals. 1] Met with the Pleasanton Office team to collect information for personalized 3 year professional development plans. 2] Started a regular program of training on Trimble Business Center and raw field data review. 3] Worked with my UAV Program Lead (Ryan Crawford) to develop UAV mapping precision and accuracy standards. 4] Performed the first UAV flight on a client project in the Northern California Region. 6] Implemented the use of Virtual Surveyor and LizardTech Geoviewer for UAV aerial mapping and image tile management. 7] Managed the first use of terrestrial laser scanning on a paid client project in the history of the company. 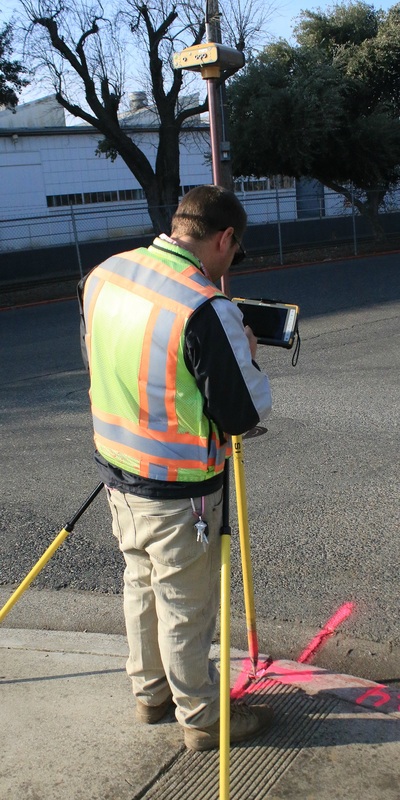 8] Implemented the first use of the Trimble TX6 laser scanner on a client project in the Northern California Region. 9] Manage the first static GNSS control survey for a client project in the Northern California Region. 11] Performed the first expert witness work in the Northern California Region. 12] Implemented raw survey field data review and QA/QC program for the company's pipeline projects in the Northern California Region. 13] Designed and implemented AutoCAD Civil 3D styles and templates for the boundary and topographic surveys in the Northern California Region. 14] Designed and implemented a system for the management of field surveys. This included a field crew evaluation system and a workflow with templates for the preparation of field packages. 15] Opened and managed the companies first office in the California Central Valley. 16] Introduced and implemented the Project Coordinator technical role to the company. 17] Created a survey proposal template system and implemented proposal tracking and workload forecasting in the Northern California Region. 18] Developed a UAV technology services strategic plan. 19] Managed the first major municipal transportation project in the Northern California Region. 20] Won the company's first school district on-call services contract in the Northern California Region. 21] Won the company's second municipal on-call services contract in the Northern California Region. 22] Managed the company's GIS services in Northern California, including work for the Gardens at Heather Farms and the Manteca Chamber of Commerce.